i went to the brickworks market on opening day this year. there was already a really good crowd that morning, and some great vendors, including one i don't recall from the other markets i visit in toronto: toorshi foods. 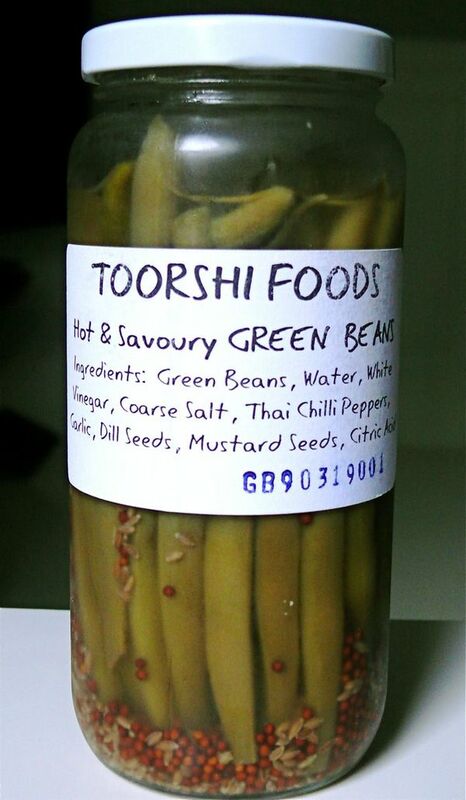 they were selling a variety of pickles including beets, mixed vegetables and these "hot and savoury green bean" pickles which was perfect because i had actually been craving pickled beans for weeks. they were spicy and full of flavour, true to their word. they made a great sidekick to my sandwich last night. but to satisfy that craving i'd had, i ate 7 straight from the jar the day i bought them. i think i actually prefer them on their own. i like the constant sourness and slight burn from the chillies that comes from eating them one after the other. that and i just tend to overdo things. too much of a good thing is a great thing! right? That sammich has been taunting me for days. I want it!!! !